It's the weekend, so what are you doing? Dr. Neil Sadick. Book anytime during the month of February and get this hour long treatment for $175 $100 discount For more details call 212.722.7242 and ask for Kelly. Get a hair consultation at Sephora with Kyan Douglas, the grooming expert from Queer Eye for the Straight Guy and representative of HerCut hair products. Kyan's specialty is figuring out the best products for people based on their haircut rather than hair type. Sephora, 1500 Broadway, nr. 43rd St. (212-944-6789); noon–6. 2/14 Celebrate Valentine's Day with a Champagne-soaked spa treatment, including massages, soaks, and facials. Check out our Valentine's Day guide for details. Help earthquake victims in Haiti at Scenterprises's custom perfume event and auction, Heart to Heart for Haiti. A portion of proceeds from ticket sales will be donated to the Red Cross, and the event includes a three-course brunch, seminar, and custom perfume takeaway. There will also be an auction, and 100 percent of the proceeds will be donated. Firebird, 365 W. 46th St., nr. Ninth Ave. (212-586-0244); 11:30–3. Reserve a space at scenterprises.com. Tickets are $150. ONGOING Through 2/14 Save on makeup, nail polish, and perfume at the Fragrance Warehouse Outlet's Scent-Sensational Shopping Sales Experience event. Beauty items and fragrances are up to 75 percent off, and sweet treats will be provided. 301 Madison Ave., nr. 41st St. (212-687-7635); M–F (8–8), S (10–7), Su (11–6). Through 3/6 Check out Greg Lauren's new exhibit, "Counter Couture," at the French Institute Alliance Française's gallery. The exhibit focuses on fashion's role in the development of identity. 22 E. 60th St., nr. Madison Ave. (646-388-6667); T–F (11–6), S (11–5), Su–M (closed). Through 5/31 Faculty members at New York City schools with a school-issued I.D. receive 50 percent off their first service and 15 percent off services thereafter at Antonio Prieto Salon. (Offer excludes retail products and treatments.) Antonio Prieto Salon, 127 W. 20th St., nr. Sixth Ave. (212-255-3741); T–F (noon–8), S (10–6), Su, M (closed). Featuring this couture designer's fall winter 2010 collection of limited edition, special order Postmodern with a twist of 1600 AD dresses, gowns, skirts, pants, jackets, coats and cloaks in his signature black, gray and white neoprene, pleather, spandex, silk chiffon, tulle, shiny canvas, plastic mosquito screening, boning with live classical piano music accompanying top agency models on the runway. Meet the designer at the on-site after-soiree and enjoy complimentary hors d'oeuvres and fine wines. What: Sample small bites from Coolhaus, Frysmith, The Sweets Truck, and many others when trucks, carts, and stands unite for an all-day eating event served with a side of Unique Los Angeles’s indie makers bazaar. Why: The way to your heart is through your stomach. When: Sat., 11 a.m.-5 p.m.
Where: L.A. Center Studios, 500 S. Beaudry Ave., b/t W. Third & W. Sixth Sts., Downtown. What: Stop by the swanky Swiss confectioner and nab a sixteen-piece (or bigger) box of delectable chocs for V-Day, mention DailyCandy, and get a special champagne truffle surprise. Why: It’s sweet on you. When: Offer valid thru Sun. 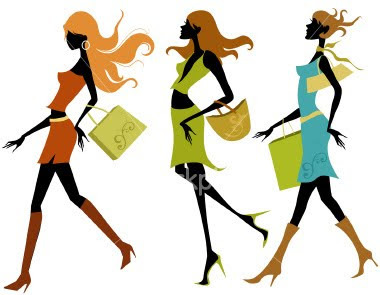 Mon.-Sat., 10 a.m.-6 p.m.; Sun., noon-5 p.m.
Where: 9548 Brighton Way, b/t N. Rodeo & N. Camden Drs., Beverly Hills (310-276-2776‎). What: Foodie destination pops up once a month with tabletop accessories, linens, flatware, and workshops like Kitchen Garden Basics, Introduction to Composting, and Introduction to Italian Wine. Why: Home is where the heart is. When: Sat., 10 a.m.-4 p.m.
Where: 550 Ceres Ave., b/t E. Fifth & E. Sixth Sts., Downtown (213-542-3316).